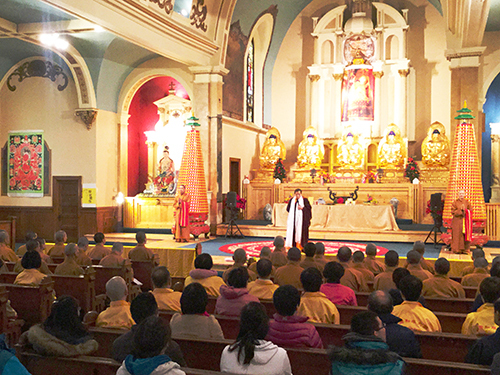 Guang Huan Mi Zong offers the Health Class, Spiritual Retreat, and Short Term Monk Program in different time frame for those interested in Buddhist teachings and spiritual advancement a chance to be freed from secular world, temporarily set aside all the pressure and struggle, and devote oneself to seeking the highest wisdom, healing oneself, and helping others. 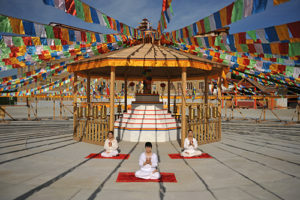 Leaving behind one’s worries, learn the unique meditation technique from Holy Ziguang Shang Shi, and cultivating Dharma on the Spiritual Mountain is ideal training to heal one’s body, mind, and soul, and explore the depths of spiritual realization that can be attained through Buddhist Dharma. According to different needs, the Spiritual Retreat can be conducted in as short as 2 days, for attaining a purified physical body and a peaceful mental state.